Bezos Takes Amazon to DC and NYC: Who will Benefit? 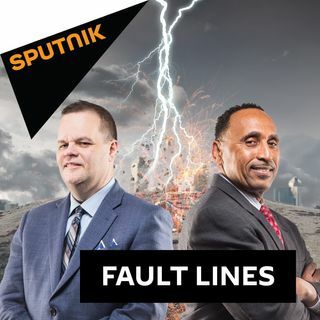 On this episode of Fault Lines, host Garland Nixon and producer Eric Ladny discuss Amazon's decision to construct new headquarters in both New York City and Northern Virginia. Who will benefit from these moves, and what long-term impact will there be on the individuals currently living in these areas? Annette Bosworth - Internal Medicine Physician and Author of the Book 'Anyway You Can' | Family Holiday Season "Coping Skills"
Jonathan Lockwood - Spokesman for the #StopTheSteal Campaign | Florida Recount Update: What's the Deal with Brenda Snipes? Many people regularly engage in heated political conversations in their daily lives, but perhaps some of these exchanges with friends and family should be put on the back burner during the holiday season. Internal medicine physician Dr. Annette Bosworth joins the show to give her expert advice on how to behave appropriately with family to gain maximum happiness from the season and your interactions with loved ones. The mainstream media has been accused of spreading "fake news" and pushing phony narratives by all sides of the political spectrum. Sharyl Attkisson, host of Sinclair's Sunday television program 'Full Measure', returns to 'Fault Lines' to talk about the importance of high quality investigative journalism and how many in the mainstream media have lost their way in these regards. Election issues in Florida's Broward county have exposed election officials in the area for their unorganized, and even fraudulent, handling of ballots. What should voters know about this process as we quickly transition towards the 2020 elections? A spokesman for the #StopTheSteal campaign, Jonathan Lockwood, is on-the-ground in Florida to cover the controversy, and he will join today's show to provide a report on the current situation.